The Ice Storm event might be gone and several bug fixes should be implemented. 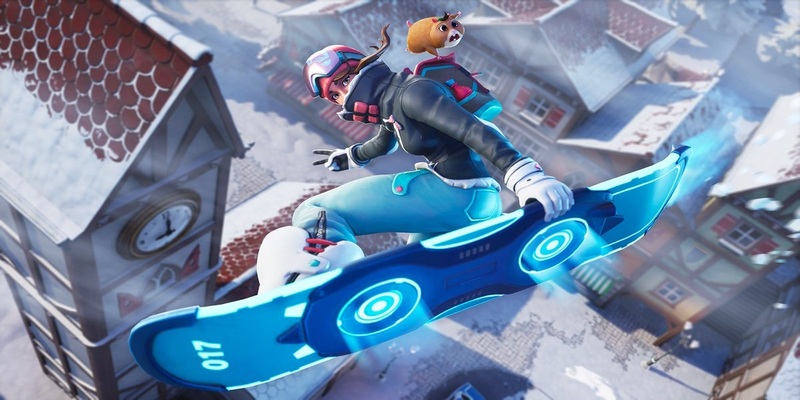 Update Jan. 29 at 3:43 am CT: The v7.30 patch notes are live. Game developer Epic Games is ready to push live Fortnite’s 7.30 game update, community coordinator Sean “MrPopoTFS” Hamilton revealed. This will probably be the last huge game update of January, as Epic usually patches Fortnite only on Tuesdays or Wednesdays. The 7.30 patch notes will come a few hours before the update goes live in all platforms, and they will confirm every change that players will find in Fortnite after the servers are back up. But we already have a few clues of what players can expect in v7.30 before Epic releases the patch notes based on past updates and comments made by the development team. Most of these changes are still unconfirmed, but here’s what might change in Fortnite when the v7.30 update goes live this week. We are still not sure how the Chiller Grenade will work. A countdown timer in Fortnite: Battle Royale shows that the challenges from the Ice Storm event will be gone in less than 24 hours. That means players will not only be unable to complete challenges and grab Ice Storm rewards, but will also see the replacement of the Ice Storm game modes for the standard ones. Zombies from the Ice Legion will probably be gone from the game. Fortnite’s public Community Issues board shows at least 10 bug fixes will be pushed live with the v7.30 update. Among them are some very annoying issues like auto shooting with gamepads, X-4 Stormwing movement bugs after collisions, and several inconsistencies with ziplines. Players who are unable to complete the challenge of using X-4 Stormwing planes in different matches might also see this issue solved when v7.30 is live. Update day is the favorite day of Fortnite: Battle Royale dataminers and leakers. That’s when Epic adds, removes, and edits game files with information about upcoming events and changes in the Fortnite map. Since we’re approaching the week nine of Battle Pass challenges and the end of season seven, we’re likely to see leaks of the special seasonal skin Snowfall, as well as tips about what other map changes might lead to the end of season seven. Fortnite players know that update day means a new fan-made creation featured on The Block. Epic has probably chosen another area a Fortnite player built on Creative to add to Battle Royale for a week. This new and yet secret creation will replace the Omega Pyramid by Directingpete and will probably stay in Battle Royale for a week. We will only have confirmation about all these changes when the v7.30 update goes live this week.